Pentwater, MI Window Tinting – The sales staff and window film installers at All Season Window Tinting, Inc. worked directly with the homeowner at this unique Pentwater, MI home to solve concerns with excessive glare transmitting through the western windows. Our sales staff recommended Vista by Llumar V18 Celeste for the upper windows for added glare reduction, and Vista by Llumar V28 Luminance for the main view windows for an uninhibited view of the water. 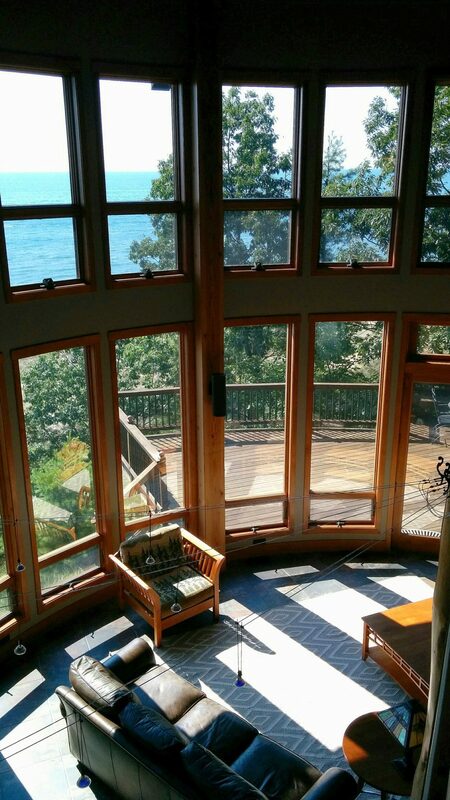 The client is very happy with their decision to use Vista by Llumar’s dual reflective metallized films within their home. The area is more comfortable and can be used any time of day. No more avoiding the great room in the afternoon and early evening! Added benefits include 99.9% UV filtration for added fade protection, and 65%-75% heat reduction for added comfort and energy savings. The bonus – The room is more open compared to the use of window treatments, the film is virtually invisible, and the level of investment is a fraction of the cost compared to motorized window treatments. 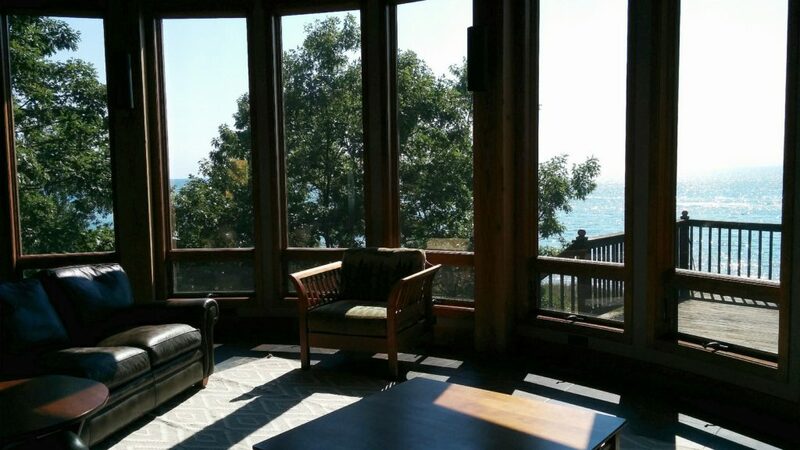 Check out the additional photos below showcasing our Pentwater, MI Window Tinting project showcasing Vista by Llumar Window Films installed by All Season Window Tinting, Inc.
Upper Windows Vista V18 window tinting film. 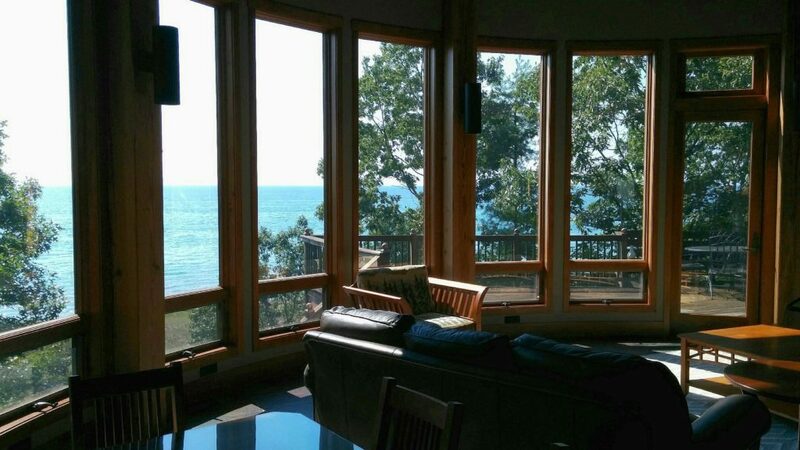 Lower Windows V28 window tinting film in Pentwater, MI.